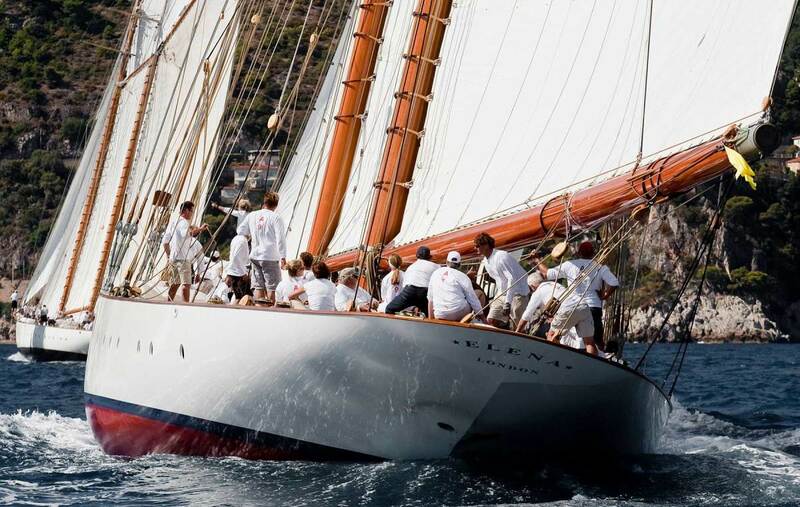 Booking a yacht for a classic regatta is a charter experience unlike any other. Steve Eddleston wanted to celebrate. It had been 10 years since he opened his first Planet Fitness gym, and he’d built the business up to 16 franchises in Rhode Island and Massachusetts. He was trying to figure out how to reward his trusted managers when a promotion for regatta charter aboard the restored 1939 schooner Eros landed in his inbox. 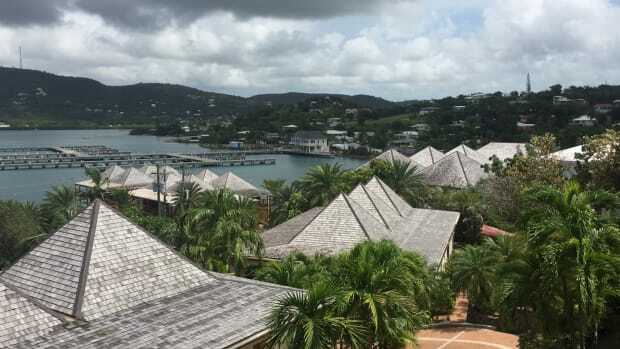 Eddleston, who came up sailing Hobie Cats and has a Corsair 780, thought a regatta charter aboard a 115-foot (35-meter) yacht sounded fun—but most of his managers had no idea how to sail. 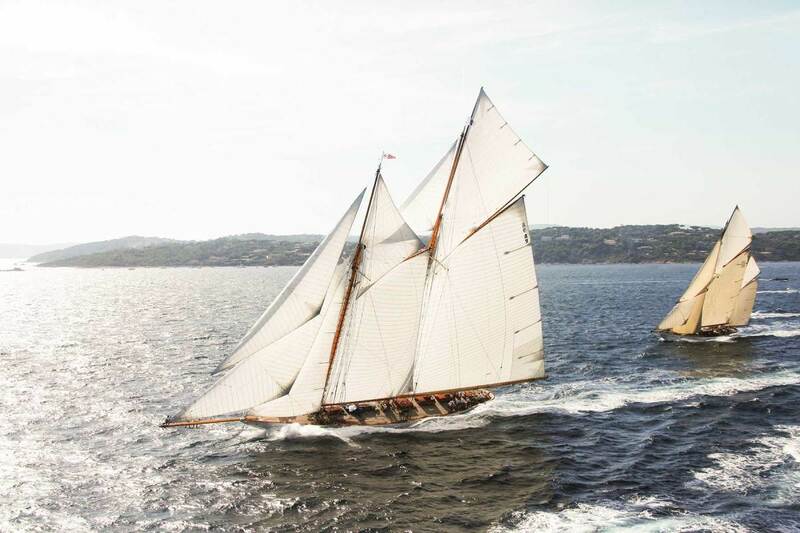 The 180-foot Elena has claimed victory in regattas on both sides of the Atlantic. 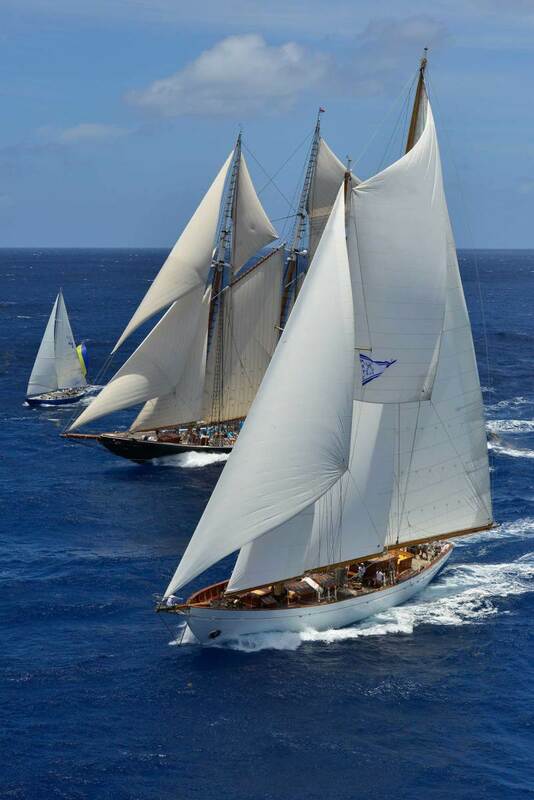 Eros, which charters in the Nicholson Yachts fleet, is among a handful of larger sailing yachts available for classic and other regatta charters at events ranging from the St. Barths Bucket in the Caribbean to the Nantucket Classic Regatta in Massachusetts to Les Voiles de Saint-Tropez in the Mediterranean. 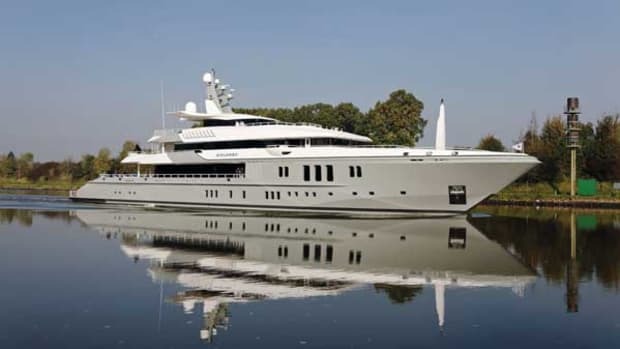 Another yacht recently advertised for regatta charter is the 180-foot (55-meter) Elena, with Y.CO. A regatta charter can create a real adrenaline rush when yachts come into close proximity, jockeying for position. Capt. 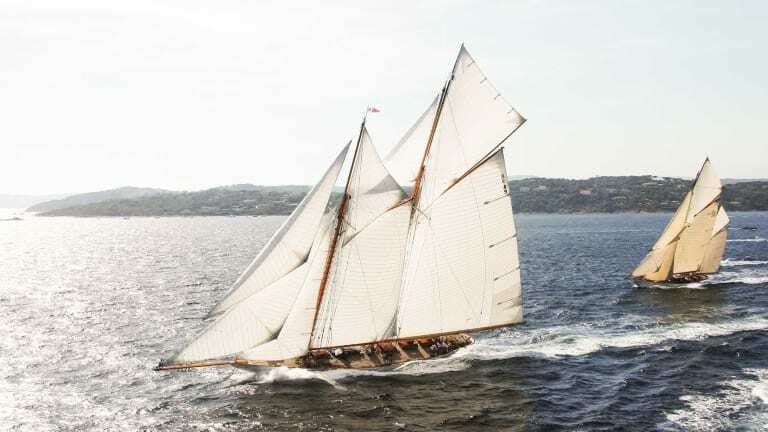 Stephen McLaren says that even aboard a replica racing yacht like Elena—built in 2009 from the Nathanael Herreshoff design of the early 1900s—no experience is required. 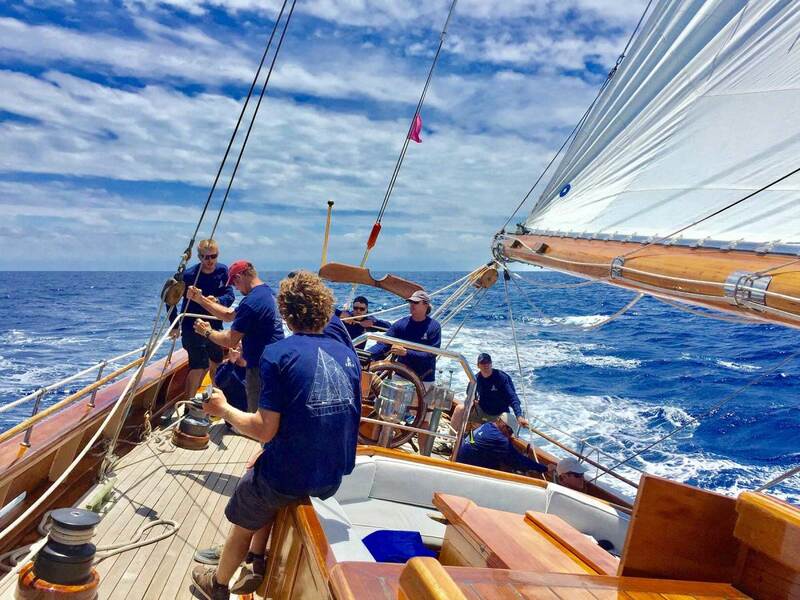 Charter guests often find themselves excited simply to be in the midst of the regatta action. 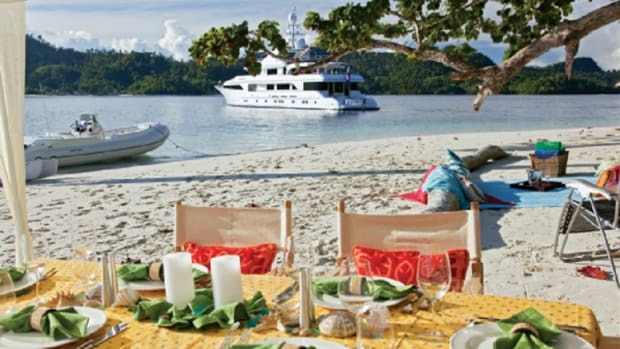 Booking a large yacht with guest seating that’s separate from working crew areas is ideal for first-timers on a regatta charter, says Cameron Riddell, Eros’ managing partner. McLaren says corporations such as Airbus have chartered Elena for a weeklong regatta, with different employees doing as much or as little as they pleased alongside the racing crew. Note the way that Eros’ cockpit can keep guests out of the way of race-crew maneuvering. Each charter guest receives the same custom regatta shirt that the crew wears, often bearing the charterer’s corporate logo, McLaren says. 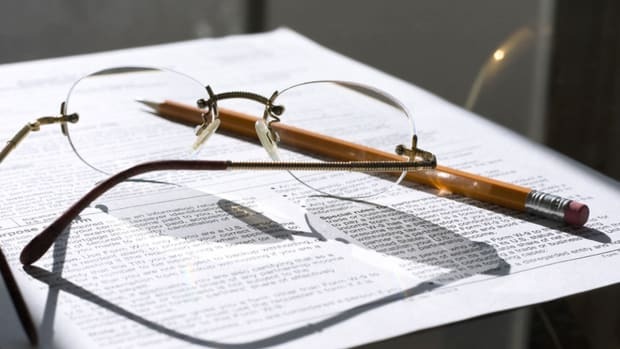 Those types of expenses, as well as the hiring of additional crew, putting them up in hotels and feeding them, means clients should expect to pay an extra 50 percent for expenses on top of a yacht’s advertised regatta rate. Clients also should understand that different regattas have different flavors, Riddell says. Eros in a good wind with a bone in her teeth. And no matter how much guests want to participate in boat handling by day, everybody gets to feel like a champion at night. Elena’s crew—all 30 to 40 of them—dine ashore at a single restaurant and invite charter guests to join them for post-race chatter. 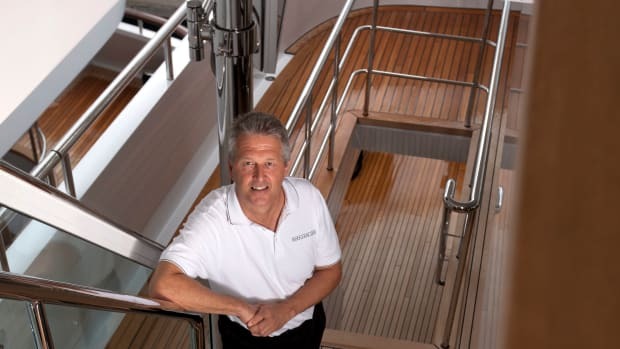 Eddleston says his memories of the end-of-day camaraderie on Eros are among the reasons he likely won’t wait another 10 years before booking another regatta charter. For more information: contact any charter broker. Elena is part of the Y.CO charter fleet. 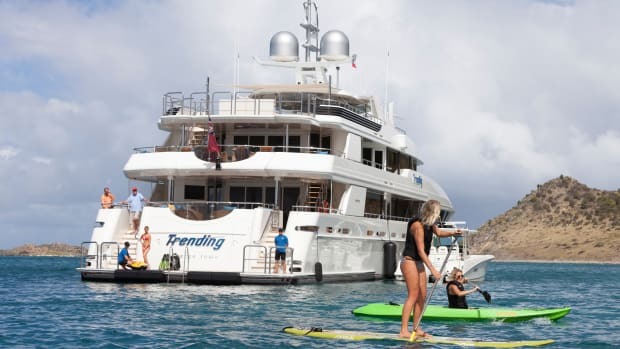 Her weekly base rate for regattas with eight guests (racing only, not overnight accommodations) is about $114,000 with a provisioning allowance of about $57,000 for crew expenses, in addition to any guest expenses. Eros is part of the Nicholson Yachts charter fleet. She offers two- to seven-day rates that match the number of racing and practice days in various regattas. 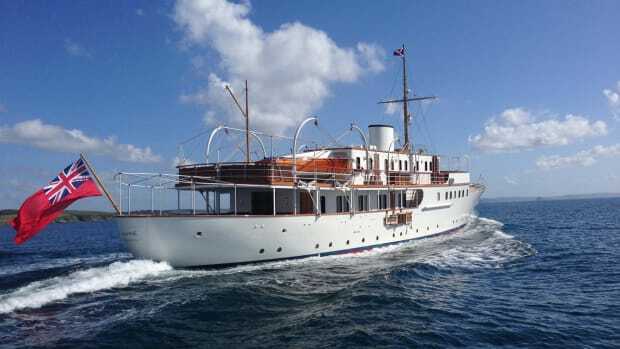 Rates range from $28,500 to $54,000 for 12 guests and include at least one meal a day on board.